Miles Hoffman, violist and NPR commentator, will give a recital in Chestertown, Md., on Sunday, Feb. 17, at 3 p.m. as part of the National Music Festival's Resonance Concert Series. 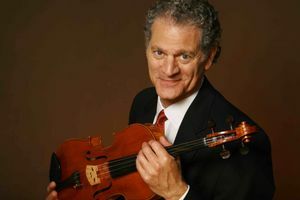 Hoffman is the founder and violist of the American Chamber Players, with whom he regularly tours the United States. However, he is equally — if not more — well known to radio listeners as the classical music commentator for National Public Radio’s Morning Edition news program. He and pianist Reiko Uchida will present a program of music by Schumann, Bridge, Bach, Chopin and Brahms.